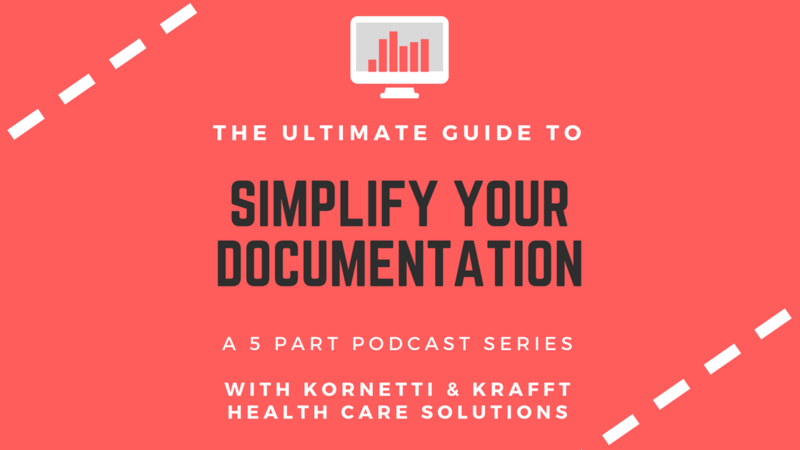 We're wrapping up our month of The Ultimate Guide to Simplify Your Documentation with Kornetti & Krafft Health Care Solutions. Frustrated with how much time you spend on documentation? Not sure what needs to go IN or OUT of your notes? Worried about Medicare coming to knock on your door? Who wants GCS behind their name? Don't forget to Sign Up for our Live Webinar with Kornetti & Krafft Health Care Solutions! Wednesday July 26th at 8p EST.